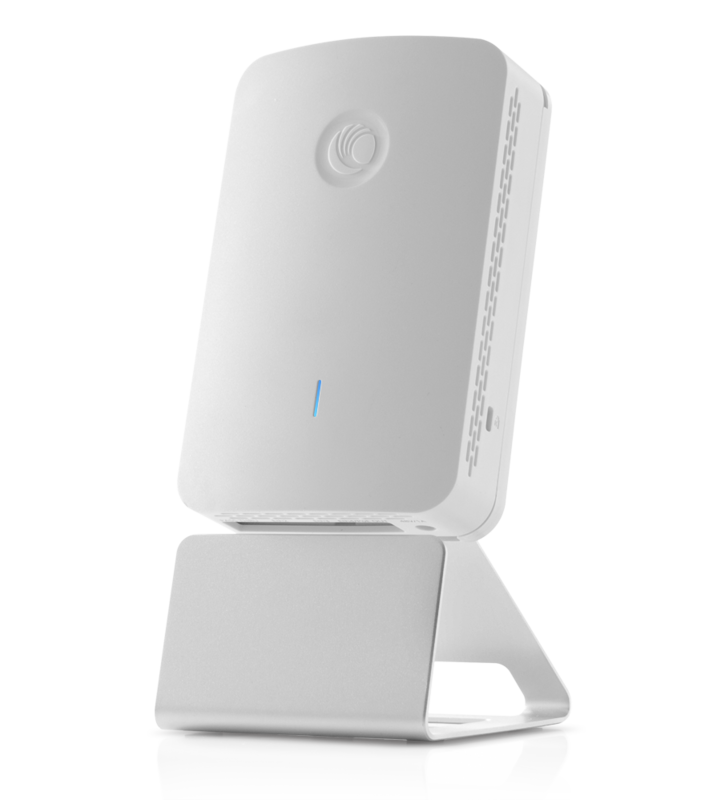 The Cambium Networks cnPilot™ e430H enterprise class indoor wall plate access point supporting 802.11ac Wave 2 standards based beamforming, is perfect for hotels and resorts, multi-dwelling units (MDUs) or just about any place indoor that needs a wall mounted AP with multiple Gig E portsto drive indoor Wi-Fi and wired port network access managed via portals. TheThe e430H supports network wide seamless roaming for up to 2,048 clients. Host the hotspot portal on the AP for controller-less simplicity, or on cnMaestro for a powerful network wide portal. Meshing is supported across e430Hs as well as with any other indoor or outdoor Cambium Networks AP Enterprise AP, for a convenient way to expand Wi-Fi coverage without laying out cabling. The e430H packs strong transmit power and the flexible controls needed to control transmit power for high density deployments. Throughput management via airtime fairness, increased performance from autoRF, and higher client device speeds from band steering ensure your e430H network can adapt to the dynamics of ever changing client profiles. MIMO, Streams 2x2:2 MU-MIMO Power Supply 802.3af PoE Injector, or PoE switch. 48V DC. WMM Mounting Options In wall single-gang bracket included. Accessories available: dual gang bracket, on-wall bracket, desktop stand. RF Management AutoRF automatically manages channel and power Dynamic SSID Service By time/date, by monitored host. Guest Access Captive Portal cnMaestro Controller Portal. Integrates with 3rd party Guest Access Portals. Walled Garden with DNS whitelist. Wireless and Wired Clients supported. MAC Authentication On-AP MAC filtering list.